Under the pastoral beauty of a blanket of fresh-fallen snow, the outdoors beckons. For a while, winter doesn't feel quite so cold, and people of all ages feel a sense of youthful excitement about bundling up and getting outside. From the downhill rush of snow skiing or sledding, to rough-and-tumble ice hockey or placid casual skating, winter provides a fast track for fun and cardiovascular health. In the absence of long, sunny days, winter sports provide the exercise active Americans otherwise couldn't get without being cooped up in a gym. High speeds attained on skis and skates make for exhilarating sports, but expose the body to injuries. Healthy feet and ankles, which act together as accelerators, steering, brakes, and shock absorbers in winter sports, are not only crucial to success in competition, but also help keep the body upright and out of the emergency room. Any problems with the foot or ankle could have serious repercussions for winter sports participants. Without warm, dry clothes, any wintertime outdoor activity is a potential health risk. Proper footwear--insulated, waterproof boots or shoes--is as important as coats, hats, or gloves in the outdoors during the winter. Socks are also important. Podiatric physicians recommend a single pair of thick socks made of acrylic fibers, or a blend including them, that "wick" away moisture caused by perspiration in the boot. Feet soaked in snow should get back indoors quickly. In sub-freezing temperatures, soaked feet are in immediate danger of frostbite, a serious, painful condition that can result in loss of toes or fingers. In skiing, particularly at an intermediate or advanced level, high speeds and force of gravity place tremendous levels of impact trauma on the lower extremity, especially on steep and bumpy runs. Skating also puts tremendous stress on the ankle. Hockey players change direction at speeds near 30 miles per hour, and even casual figure skating requires quick turns and stops negotiated by the lower extremity. If any preexisting foot conditions, such as corns, calluses, bunions, or hammertoes are present, see a podiatric physician, a specialist of the foot and ankle, for evaluation before buckling or lacing up. A medical examination is also important if you have any preexisting circulatory problems, such as Raynaud's Disease or diabetes. Before taking to the ice or slopes in cold weather, it's important to loosen up the muscles by stretching. Stretching helps to prevent muscle pulls and tears, and prepares the muscles for the flexing required by the constant "forward lean" stress of skiing and skating. Podiatric physicians specializing in sports medicine say properly fitted ski boots and skates are the single most important factor in safe and successful skiing and skating. Without a snug (but not too tight) and accurate fit, the pressure exerted by the constant forward motion and lateral movement of skiing and quick turns of skating will surely result in discomfort or injury. Ski boots are available in a forward-entry variety, a rear-entry style for easier entry and more comfort, or "hybrids" which incorporate both designs. Modern systems of cables and buckles make it possible to alter the boots to a near-perfect fit. With ice skates, proper fit is equally important. Do not put children in hand-me-downs; skates that are too large or too small will cause blisters, inflammation of the foot, or nail irritation. The lack of proper ankle support in a too-large skate will leave the ankle susceptible to sprains, strains, or fractures. Whatever the style, skates should be laced snugly, using all the eyelets. If you are not sure your ski boots or skates fit properly, or if an apparently proper-fitting pair still hurts, take them to a podiatric physician, who can evaluate the fit and make recommendations to improve both comfort and performance on the ice or slopes. Cross-country skiing is quite distinct from downhill. An excellent way to maintain cardiovascular fitness in the winter, cross country involves the entire body and requires different equipment. Cross-country footwear is more like a bicycle shoe than a downhill boot. Bound to the ski only at the ball of the foot, cross-country boots should not irritate the balls of the feet. As with running in winter, proper stretching is vital before cross-country skiing. In cross country, the heel goes up and down constantly. Without proper loosening up first, the motion can result in painful Achilles tendinitis and plantar fasciitis, among other problems. A podiatric physician can recommend proper stretching exercises. Dedicated runners hate to give up their passion during the winter months. Remember, however, that muscles take longer to warm up in the cold, and the body is much more susceptible to muscle pulls and tear injuries. Again, proper stretching is essential. Whether consciously or unconsciously, runners may change their foot-strike pattern to protect themselves, which can lead to muscle strain or other overuse injuries. To increase traction, runners may land on slippery surfaces with the whole foot instead of the natural rolling action of the heel-to-toe strike. Lateral slippage could result in a painful groin pull. It's best to avoid running on icy areas, but if that's impossible, podiatric physicians give a qualified endorsement to use of spikes slipped over running shoes. Spikes, however, have their own problems, so don't use them in winter if you're not familiar with their use on a running track. Even though your feet are in motion while running, they're still susceptible to frostbite in thin nylon running shoes. Feet will sweat while running, and cold will permeate the thin material, inviting the condition. If shoes are too tight, there is an even greater chance of frostbite. Keeping the ankle perpendicular to the ground and straight up and down while skiing brings out the best performance. Users of custom orthoses (shoe inserts) should transfer them to skis and skates to help maintain the best possible position. Skiers with minor biomechanical imbalances may encounter a frustrating phenomenon known as "edging," in which the ski rolls to the inside or outside edge, inhibiting control going down the slopes. Ski boots and skates can be "canted" internally to adjust the relationship between the boot and leg. For cases of rolling-in of the foot, or pronation, or rolling-out (supination), caused by flat feet or high arches, cants may be applied directly to the skis or within the boot. This improves edging and enhances performance and control, making the sport safer and more enjoyable. Ski shop technicians can work in conjunction with podiatric physicians on specific biomechanical adjustments to improve performance and safety. Ice skates do not come in as many shapes and sizes as ski boots. Common side-to-side wobbling in the heel area can be remedied with "shims," or pads, in the heel. Shims can also be added to the counter area, or middle of the skate, for a more snug fit. In recent years, skiers have shared the slopes with more snowboards--wide single skis that zigzag down the slopes. The feet are loosely bound perpendicular to the board. No special footwear is required for snow boarding, but podiatric physicians say large, sturdy, insulated boots flexible enough to accommodate the twisting of the lower body are best to safely control the board. Most popular with young people, snowboarding has become a bona fide alpine sport, and more snowboarders will share the slopes with skiers in the future. It's impossible to overstate the importance of understanding symptoms of frostbite. Skin-color changes, from blue to whitish, can't be seen under a boot, but if toes are extremely cold for a prolonged period, feel burning or numb, there is a danger of frostbite. People with a history of frostbite often get it again in the same place. New battery-powered heated ski boots are effective in preventing its occurrence. New exothermic packs are also effective in keeping the extremities warm and preventing frostbite. Friction in winter sports footwear often causes blisters. Do not pop a small blister, but if it breaks on its own, apply an antiseptic and cover with a sterile bandage. Enlarged benign growths of nerves between the toes, called neuromas, are caused by friction in tight footwear and can result in pain, burning, tingling, or numbness. Neuromas require professional treatment, including an evaluation of skates and boots. The stress of skiing and skating can result in sprains and strains of the foot and ankle. They can be treated with rest, ice, compression, and elevation (RICE). If pain persists, seek medical attention. Pressure in the toe box of a ski or skate can cause bleeding under the toenail known as a subungal hematoma. Such a condition should be treated by a podiatric physician to prevent the loss of a toenail. Bunions and tailor's bunions, bony prominences at the joints on the inside or outside of the foot, often become irritated in ski boots or skates. Pain at these joints may indicate a need for a wider or better-fitting boot. Other preexisting conditions, such as hammertoes, and Haglund's Deformity (a bump on the back of the heel) can be irritated by an active winter sports regimen. If pain persists, consult a podiatric physician. Fractures caused by trauma require immediate medical attention. Start easy and build up your distances slowly. For more questions, please contact one of our offices. Dr. Zinoviy Rabinovich D.P.M., Board Certified Physician and Surgeon of Foot and Ankle – a doctor who is on time, who looks at and listens to you and not the computer, who provides immediate relief and follows through to complete satisfaction. Experience, expertise, convenience of scheduling, evening hours, and a personal innovative approach for all your and your children’s foot care needs. Northbrook 847-297-9660, Crest Hill 815-838-9505 or book online at www.absolutefootandankleclinic.com. Spring has officially sprung, and it’s time to release your toes from their winter slumber. Here are some smart tips to keep your sole mates healthy. Do you have dry, cracked skin on your feet? If so, you are not alone, as this is a common foot issue. LOVE YOURSELF AND YOUR FEET THIS VALENTINE'S DAY! Frostbite is a serious condition that can cost you anywhere from your toes to your whole foot if it gets out of control. Protecting yourself from the cold and treating frostbitten feet immediately is the key to eliminating the damage and saving your feet. 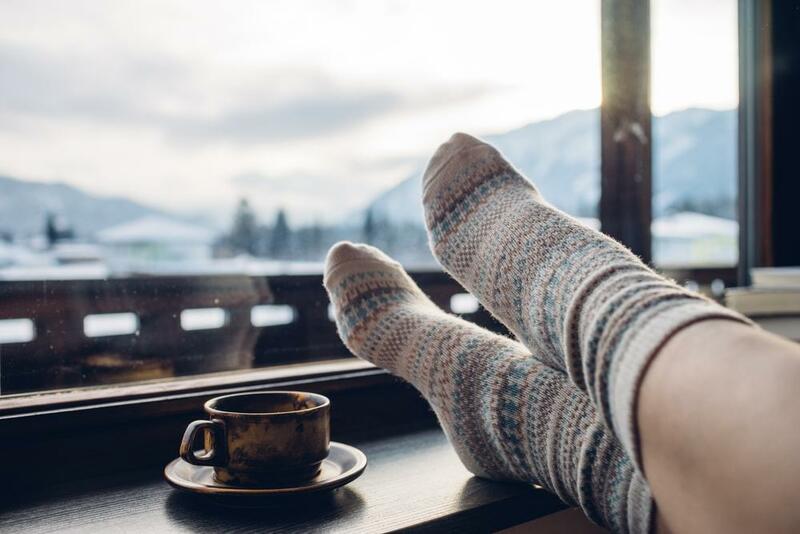 Whether you're slogging through deep snow and sub-zero temperatures in the north, or contending with dampness, chill, and muddy conditions in the south, here are some important tips for your winter foot care.